Can you spare a Drachma? It’s easy to get riled up about money. The topic can even anger Jesus Christ. 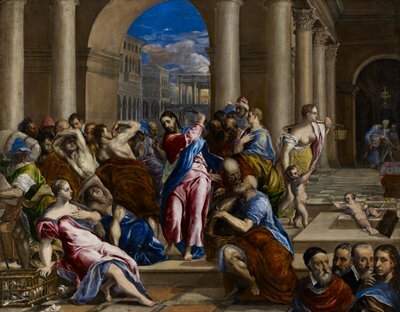 In this painting by one of Greece’s greatest sons, El Greco, Christ chases merchants and moneychangers out of the Temple.